Following in July’s fashion, this month’s looks are only the best from a variety of celebrity events. I would be remiss to not mention August’s biggest sporting event, the Mayweather versus McGregor fight. While there wasn’t too much in this dwindling summer month to bank on in terms of men’s style and suiting, the few celebs and athletes who did suit up did so to a high standard. 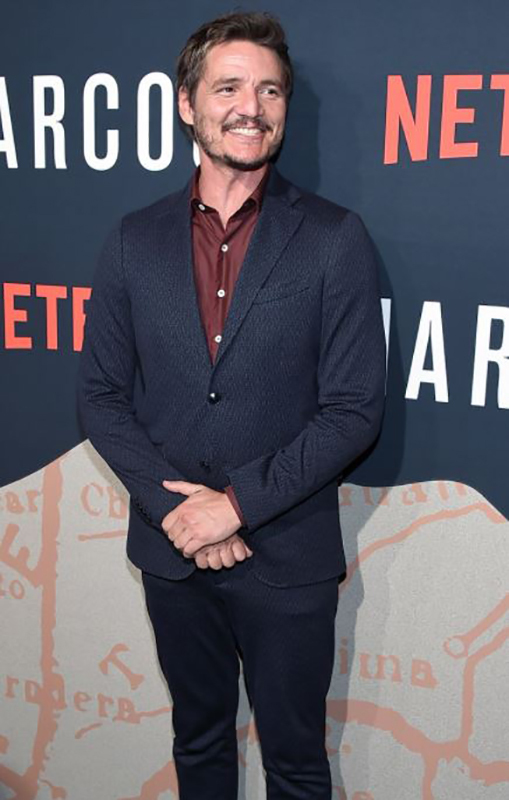 The Chilean actor best known for his role as Oberyn in Game of Thrones and last November’s cover of The Rake magazine kept it casual at a screening for the upcoming Netflix crime drama. A slim fit charcoal suit frames Pascal very nicely, and his reddish brown button-down with double monk strap shoes tops off the neat ensemble. Pascal usually looks dapper in his tailored suits, and this look did not disappoint. These two fighters couldn’t have enough press conferences, if you ask me, especially when they are both dressed as sharp as they frequently are. 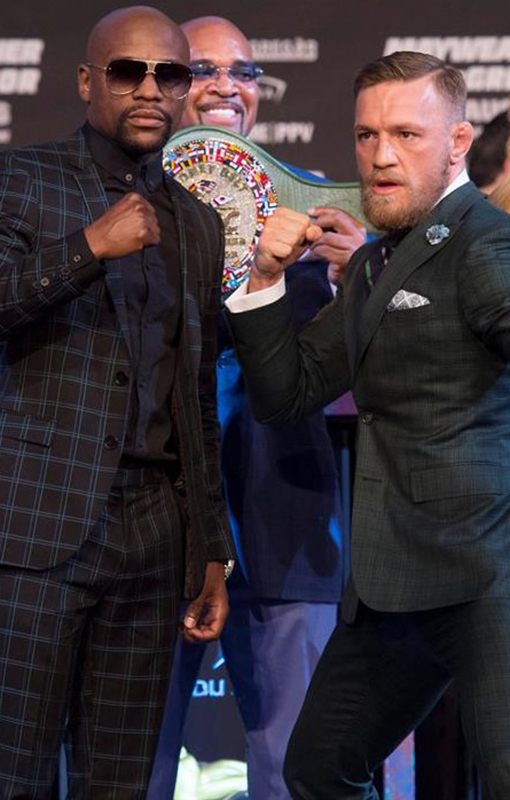 Due to their personalities (and mandatory trash-talk), it’s difficult to get solid poses of them both, but Floyd Mayweather appears to have taken a page from Conor McGregor’s sartorial book. The Irishman is always impeccably dressed, and this green window pane suit, complete with pocket square, lapel pin and cufflinks, is no different from his norm. Mayweather, on the other hand, opted for a darker look, with an almost doubled blue window pane suit on a black background. Only a watch kept Floyd’s accessory game low, but it clearly didn’t hinder his chances of winning that evening. This man makes my best-dressed lists almost every time, and with good reason. 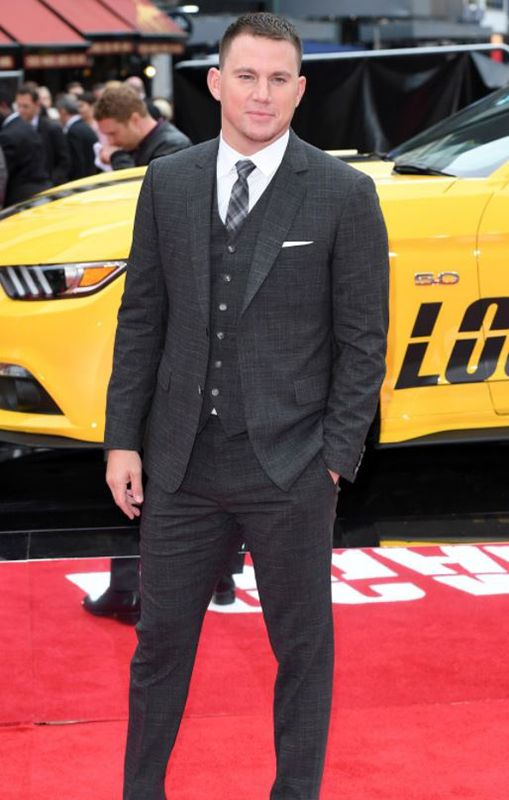 At a premiere in London, Tatum kept a three-piece suit classy and sleek with minimal details. Slimmer fit trousers and neutral accessories with the slightly patterned charcoal suit are timeless on this A-list celeb. 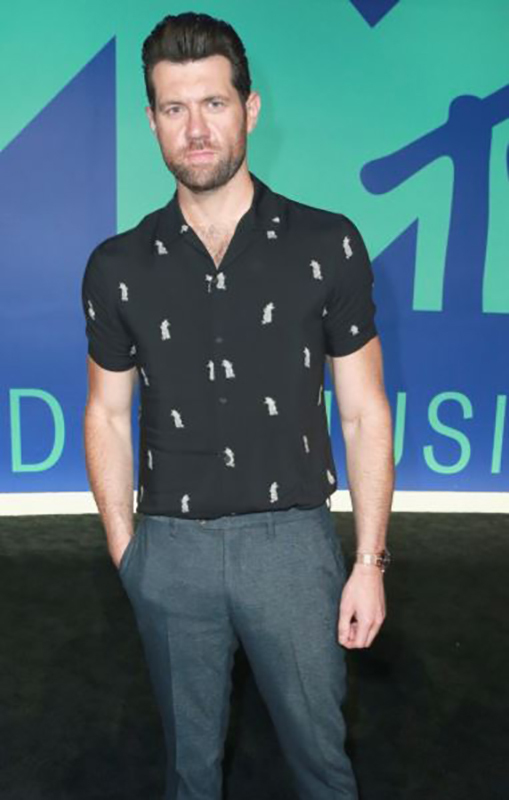 Billy isn’t wearing a suit, but I couldn’t pass over the great casual look he went for on the red carpet for this past weekend’s VMAs. The trousers fit him like a dream, and the casual short-sleeve sport shirt is a look a lot of men should adopt in summer months. The pattern, shoe, and overall look is simple here, but I don’t doubt this upcoming American Horror Story’s actor’s intentions. Many people know and love this singer/songwriter’s music, with his crooning love songs and upbeat pop played constantly on the radio. 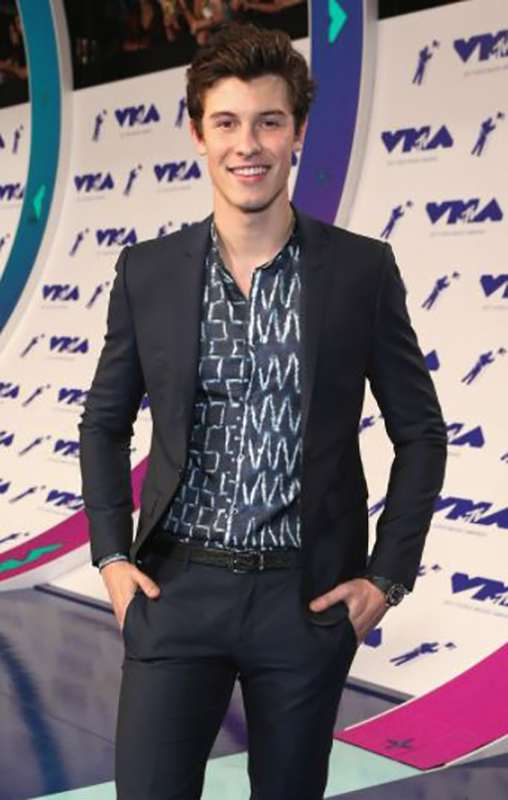 Mendes is showing his look is just as great as his music with this tapered dark navy suit and open patterned shirt. This is just another example of a suit being worn casually very, very well, without needing to go over the top or adding too many accessories and pops of color. A great-fitting suit can work many ways, and Mendes provides a perfect example of that here. The designer attended the screening as a guest, and quite honestly, looked better than most the actors starring in the film version of a 2005 novel. Posen doesn’t shy away from the double-breasted suit, seen here with a patterned grey fabric. I wouldn’t expect any less from this American fashion designer, who impressed with a light blue shirt and simple tie. Casey is a Style Consultant and an Assistant Manager at Surmesur Pittsburgh. When she's not measuring or designing, she's either performing onstage or working behind the curtains, with various musical theater and opera companies throughout the Greater Pittsburgh area.